← Viggle is so cool! 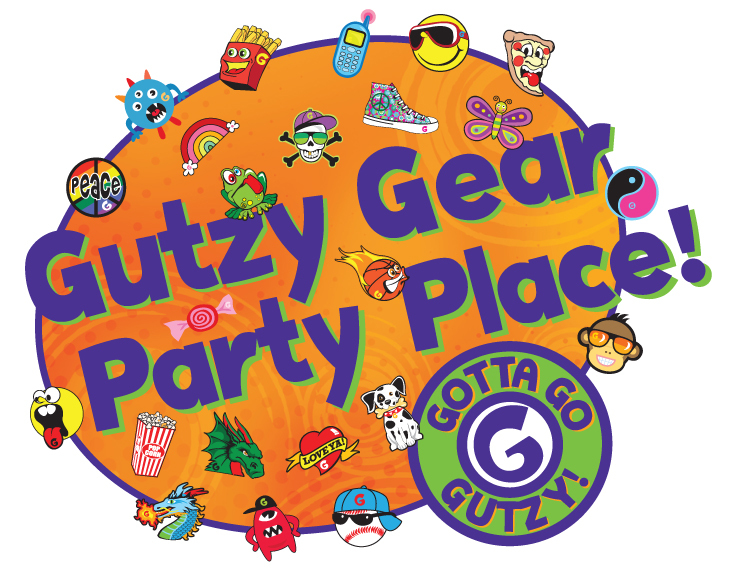 School starts in a few days and along with the regular excitement of simply going back to school to see friends, to show off some new clothes and to use that cool new backpack, we are adding Gutzy Gear to the new trend. 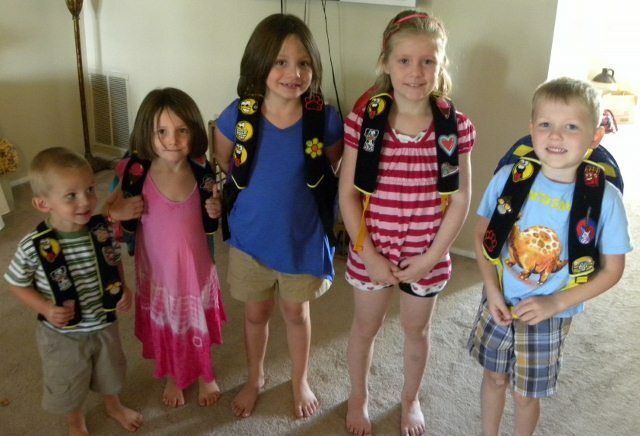 My Kids’ Cool Mom and a great group of bloggers are offering one lucky winner a starter pack of Gutzy Gear with 2 strap covers and 2 packs of patches (4 patches total). Read through the review and then enter the giveaway below. 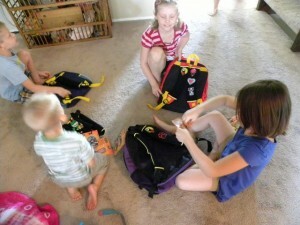 The kids opened up the starter kits which included two strap covers and a Gutzy patch. The strap covers are held in place using very strong Velcro. The patches stick to the strap covers using Velcro as well. Once attached, they are very secure yet easy to change. 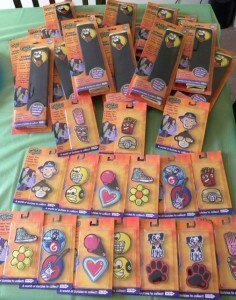 There is a wide variety of Gutzy patches good for boys or girls. 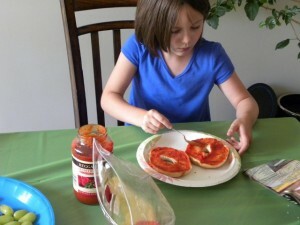 The variety allows the kids to express themselves and show off a little personality. Simply open the strap covers and attach them to the backpack straps. Place the Gutzy patches anywhere on the cover and in any order. 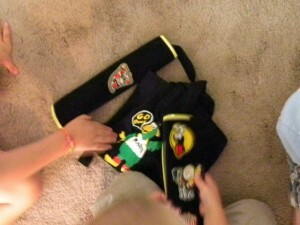 The kids enjoyed choosing their patches and getting Gutzy. They played some cool games provided by Gutzy Gear including Gutzy Dominoes. This game was so fun, I forgot to take pictures! The kids were running throughout the entire house trying to find the picture of the next Gutzy on the list. It was pure fun to watch. 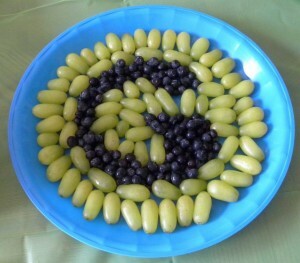 The kids also enjoyed snacking on some cool snacks, including the Gutzy logo created from fruit. 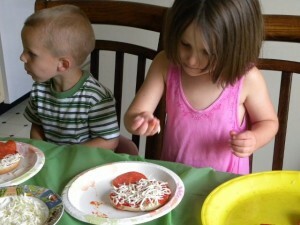 Then they had fun making some personal pizzas while discussing how excited they were for their first day of school and how they will be the only ones with Gutzy Gear. At the end of the party, the kids posed for one last shot so they could show off their awesome backpacks decked out with Gutzy Gear! Now, I’m still a kid at heart sometimes and these things made me really jealous. 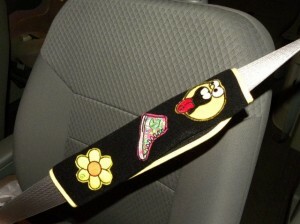 So…….I got Gutzy too and put a strap cover on my seat-belt!!!! For more information about Gutzy Gear you can go to their website at http://www.gutzygear.com, like them on Facebook here and follow them on Twitter here. This giveaway is in no way affiliated with Facebook. Open only to U.S. residents. The winner will have 48 hours to reply to claim the prize. 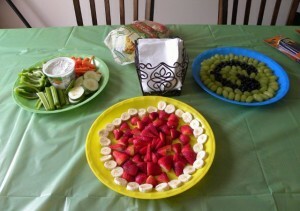 My Kids’ Cool Mom is not responsible for shipment of the prize. I received Gutzy Gear to review and all opinions in this post are my own. The skull with a bow. Love it!